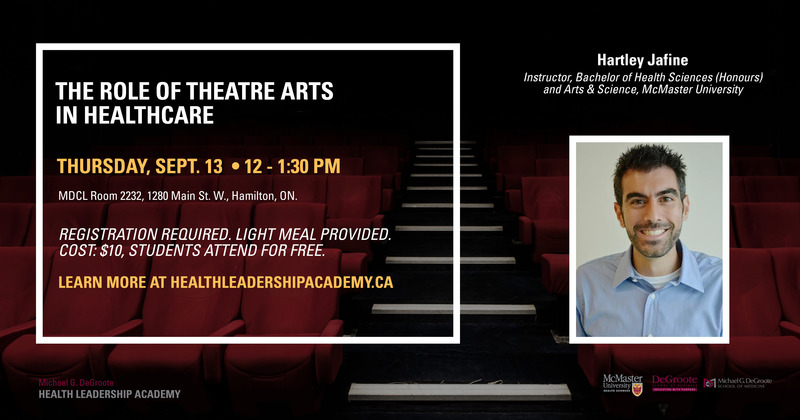 The Michael G. DeGroote Health Leadership Academy is proud to host Hartley Jafine as he discusses the use of theatre arts in healthcare. Healthcare professionals must understand the patient’s perspective and not dismiss them as simply another case. Through theatre and play, we can humanize healthcare education and its processes in order to improve treatment and recovery. Developing life skills in theatre arts can lead to better health leaders.